On the hunt for that perfect used car? 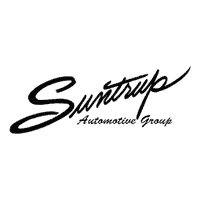 When you choose a pre-owned vehicle from Suntrup Automotive Group, you can trust that whatever make and model you choose has been thoroughly inspected for quality. Better yet, we have a variety of used car specials available so you can feel good about what you choose to drive home to St. Peters. Whether you want a used BMW or a used Ford, you’ll find them here, and many more makes, in our vast inventory. After you’ve taken a look at our pre-owned vehicle specials online, be sure to contact us to make an appointment and visit us in person! We look forward to getting you behind the wheel of a pre-owned car you’re excited about for a price you’ll love. Want to make your vehicle even friendlier on your wallet? Consider trading in your vehicle. This 2015 Volvo XC60 T5 Drive-E Premier is a great option for folks looking for top features like a a leather interior and side air bag system. We've got it for $17,500. Looking to buy a safer crossover? Look no further! This one passed the crash test with 5 out of 5 stars. If you're ready to switch up your aesthetic, this car is just what you need. Its ravishing bright silver metallic exterior pairs well with the off-black interior. The Off-Black leather interior adds a touch of class. Open the sunroof on this vehicle and get your daily Vitamin D! You won't believe the amazing sound quality from this vehicle's CD player. This is the vehicle you have been waiting for! Call now to schedule a test drive! Schedule your test drive today! Contact our Customer Care Team at 314-822-9300 Thank you for your interest and your time. Contact Information: Suntrup Ford Kirkwood, 10340 Manchester Rd., Kirkwood, MO, 63122, Phone: (314) 822-9300, E-mail: suntrupford2@salespont.dealerconnection.com. People everywhere will love the way this 2017 Ford Escape SE drives with features like a backup sensor, backup camera, a navigation system, traction control, Sirius satellite radio, and side air bag system. This one's a deal at $17,990. This safe and reliable SUV has a crash test rating of 5 out of 5 stars! Complete with a charming dk. gray exterior and a charcoal black interior, this vehicle is in high demand. Have access to all of your electronics safely and easily through your Bluetooth. This built-in navigation system is easy to use! Keep the tunes going with features like CD player. Interested? Don't let it slip away! Call today for a test drive. Schedule your test drive today! Contact our Customer Care Team at 314-822-9300 Thank you for your interest and your time. Contact Information: Suntrup Ford Kirkwood, 10340 Manchester Rd., Kirkwood, MO, 63122, Phone: (314) 822-9300, E-mail: suntrupford2@salespont.dealerconnection.com. Tailor made to fit your lifestyle, our 2015 Volvo V60 T5 Drive-E FWD Platinum in Black Stone is an ideal blend of utility, safety, performance and style! Motivating our beautiful wagon is a Turbo Charged 2.0 Liter 4 Cylinder that generates 240hp. It is matched with a responsive 8 Speed Automatic, and with the help of stop/start technology, returns near 37mpg on the open road, as well as astounding acceleration and the superb ride quality that comes with a Volvo! Boasting sporty contours and a modern design, our T5 Drive E-FWD Platinum wagon looks attractive whether pulling up to the valet or coasting through the carpool lane! The interior is spacious and intelligently designed with your needs in mind. Settle in to supportive leather seats with 8-way power adjustments, look up at the prominent sunroof, notice the premium navigation, and turn up the volume on a surround-sound audio system with a CD player, satellite/HD radio, an auxiliary audio jack and a USB/iPod interface. You'll also appreciate the convenience of Bluetooth phone and audio connectivity, dual-zone automatic climate control, customizable digital gauges and 40/20/40-split rear seats with power-folding head restraints. Meticulously built befitting its long-standing heritage of superior safety, our V60 has earned top safety scores and even boasts the innovative City Safe system. If you want a wagon that goes fast, handles brilliantly, and is sublimely comfortable, it doesn't get any better than this! Print this page and call us Now... We Know You Will Enjoy Your Test Drive Towards Ownership! Come in Today for a Test Drive! It has a 6 Cylinder engine. This one's available at the low price of $29,990. Rocking a gorgeous black exterior and a black interior, this car is a sight to see from the inside out. This is the vehicle for you! Give us a call today and don't let it slip away! Schedule your test drive today! Contact our Customer Care Team at 314-822-9300 Thank you for your interest and your time. Contact Information: Suntrup Ford Kirkwood, 10340 Manchester Rd., Kirkwood, MO, 63122, Phone: (314) 822-9300, E-mail: suntrupford2@salespont.dealerconnection.com.